My client will be here we will go look. Agent: Showing is by appointment only. Me: Ok, but I dont even remember where, what is the property is at. Have looked at 25 properties in so far, plus I have 5 clients Im working with now. No big deal. Agent: Ok, the property is on the MLS. Agent: Are you a real estate agent? Agent: Why dont you have the MLS? ME to SELF : DUH!!! YOUR CRAIGLIST DID NOT SHOW THE MLS NO!!! LADY!!! PLUS IT WOULD HAVE BEEN SO EASY JUST TO GIVE ME THE MLS NO. Took my time to do this, and it was so easy for you to just give me the MLS no. Seven Malibu homeless have now found permanent homes — including Kevin, who invited us in for a look. Kevin’s new home, where he has lived for four months, is light and bright, located on a tree-lined street in Koreatown, within walking distance of grocery stores. So far, seven formerly homeless people have found new homes and new lives off the streets thanks to the fundraising and programs put in place by the Malibu Task Force on Homelessness (MTFH), including one local man who goes simply by the name Kevin. Kevin was homeless for 17 years (the last five years in Malibu) before finding permanent housing. 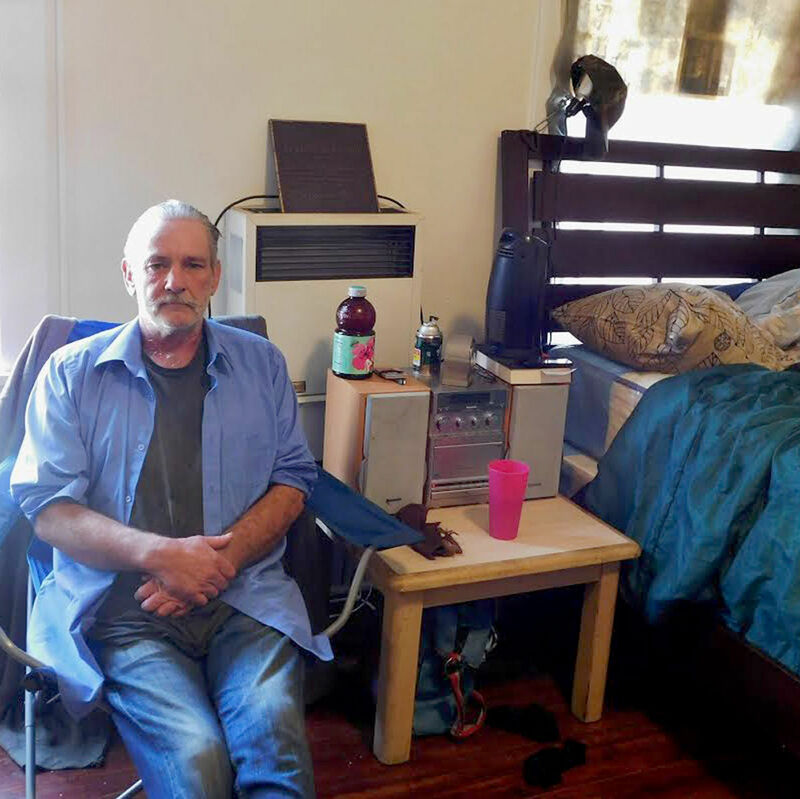 Visiting with Kevin, 57, in his new one-room apartment with hardwood floors, a bathroom and small kitchen on a tree-lined street in Koreatown, he said he is grateful to have had a real roof over his head since moving in four months ago. Most of Kevin’s time homeless was spent living in a small tent and cooking with a camp stove. Originally from the Riverside area, he became homeless when his “wife passed away and everything fell apart,” he described. “I gave up two houses and stopped caring about anything and became an alcoholic in the street,” he said. Eventually, he found a new girlfriend, but she also passed away. He ended up in Malibu with the idea of walking to San Francisco, which didn’t happen. “One day just leads into the next,” he noted. 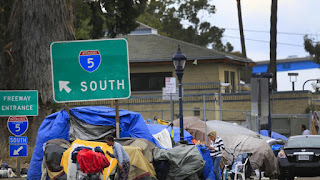 In the meantime, MTFH raised enough money to hire two fulltime outreach workers with a van through The People Concern organization based in Santa Monica. 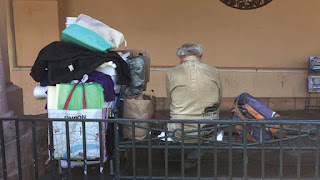 The “boots on the ground” team has been actively reaching out to the homeless since last fall. Social worker Alex Gittinger became a member of Malibu’s outreach team at the start of this year. An extra $10 million for homeless youth services has been included in the state budget following requests for increased funding in the field from Assemblyman Todd Gloria, D-San Diego.He said there’s been some areas of improvement on homelessness — the number of homeless veterans in San Diego County has dropped according to the latest annual count, for example. Vets’ circuitous paths through homelessness meet in new permanent homes. For Kenneth Salazar, the past came back as a series of scenes in a fractured chronology. Life after the Army had been one of dead-end jobs and episodes of sleeping in cars, each coming to an end when the vehicle was impounded. “I woke up in a motor vehicle in other people’s driveway wondering, ‘What in the hell am I doing here?’ ” Salazar said. Most recently, he was sleeping in a park when an outreach worker got him to go to the Courtyard, a shelter that opened last year in the former Santa Ana bus terminal. There he slept on a mat. That turned out to be a steppingstone out of his past. For the first time since his discharge, Salazar, 60, now has a permanent home that cannot be impounded. Salazar was one of 15 homeless men — almost all veterans — selected to move into Potter’s Lane, a pioneering housing project built from recycled shipping containers. Salazar will pay $69 a month for his single unit. The balance of the $1,259 monthly rent will be subsidized. Potter’s Lane is an example of permanent supportive housing — subsidized apartments with services to provide the support that the chronically homeless need to adjust to life under a roof. 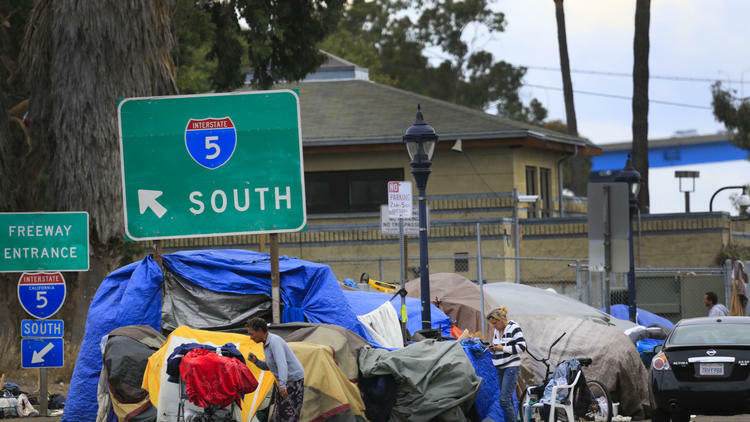 It was funded with a combination of low-interest government and private loans and will be supported by subsidies from state and federal programs for veterans and the chronically homeless. In Los Angeles, voters have approved $1.2 billion in borrowing to help build 10,000 such units. Following the example at Potter’s Lane, some of those projects are now being designed with shipping containers as the structural element. Kurt Carson came to Potter’s Lane from a ledge under the East Katella Avenue bridge over the Santa Ana River. He said he lived there six years and had no complaints, a perspective shaped by his 14 years as a Marine.